Anne Arundel County Council member Jamie Benoit and a prominent Democratic lawyer have launched a political action committee and website called StopPeroutka.com “dedicated to educating voters on the theocratic policies and bigoted national network of Michael Peroutka,” a Republican running for Anne Arundel County Council in District 5. Benoit is term-limited and this is not his district. Dan Clements, an Annapolis resident who is former president of the Maryland Trial Lawyers Association and active in many Democratic political campaigns, is the treasurer of StopPertoutka.com, which filed its paperwork 10 days ago. Clements said the website was launched Friday. It was first reported on Saturday by Paul Rosenberg of Salon.com. Rosenberg’s long piece is an example of the wide attention the Peroutka nomination has received from liberal commentators on national news websites such as Huffington Post and Daily Kos. Most of the website, in fact, is devoted to compiling all the Maryland and national stories that have been done about Peroutka since he won the GOP nomination by just 38 votes. 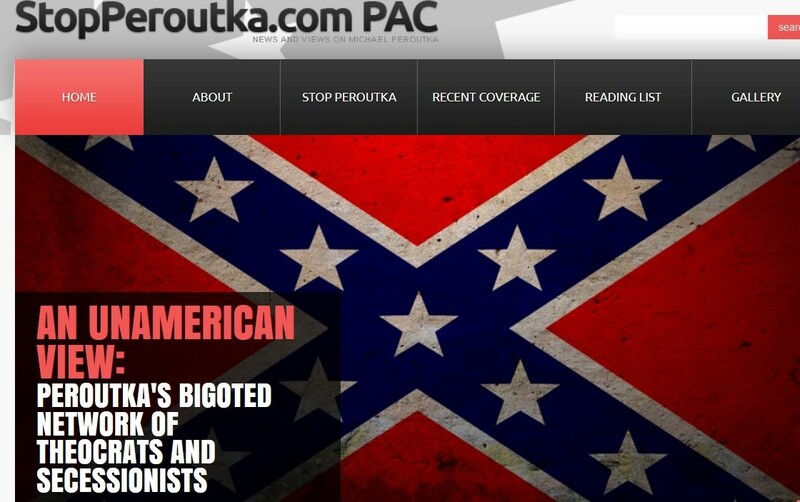 Clements said one of the primary purposes of the website is to display “Peroutka in his own words” and the reporting of others on his alliance with the secessionist group League of the South. On Sunday night, there were already 43 articles in StopPeroutka.com’s reading list, less than a third from Maryland media. Clements said, “We fully anticipate we’ll get sued” by the litigious Peroutka, an attorney with a Pasadena law practice.